Le Bistrot and the Institut français continue their series around la table and its delights. After a glorious sell out ’Repas des Vendangeurs’ in September the next ’Dîner du Bistrot’ focuses on a very French dish: couscous. As this iconic Moroccan specialty has been voted the third favourite dish of French people last year, beating moules-frites and côte de bœuf, the Bistrot’s Chef shares his own recipe around communal tables and in a convivial atmosphere. A perfect opportunity to enjoy great food and raise our glasses to the diversity of French gastronomy! 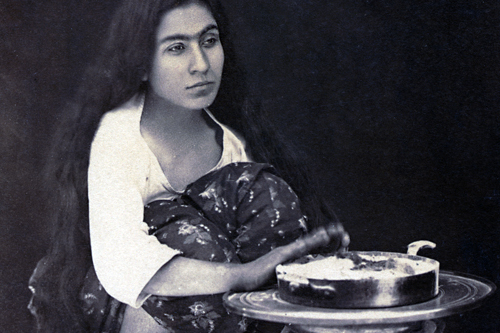 Picture: Femme d’Arabe du Mont Liban, 1889.